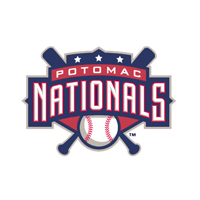 The perfect start to the second half continued for the Potomac Nationals (39-34, 5-0) Wednesday afternoon, as they tallied their fourth walk-off win of the season on 2B Max Schrock’s single in the 11th inning. The 3-2 win paired with Monday night’s victory provided Potomac with a rain-shortened two-game sweep of the Winston Salem Dash (31-45, 3-3). Scoreless through five innings, both LHP Matthew Crownover (ND) and RHP Jordan Stephens (ND) pitched into the sixth. The Potomac starter was the first to crack, as the Dash plated two runs in the sixth inning. 3B Gerson Montilla led off the sixth frame with a double, while DH Telvin Nash drew a walk. 2B Toby Thomas ended Crownover’s afternoon with an RBI single, while C Chris O’Dowd singled off of RHP Trey Lambert, Lambert’s first Potomac appearance. The P-Nats answered in the sixth against Stephens, as Schrock hit his first home run of the season. 1B Jose Marmolejos doubled and C Raudy Read singled in the inning, but Potomac left men on the corners, as Stephens departed after six innings in line for the win. RHP Danny Dopico entered from the Dash bullpen to start the eighth inning and retired Schrock. SS Osvaldo Abreu walked, and Marmolejos appeared to tie the game on an RBI double to left field. On appeal, Abreu was ruled out at second base, as the umpires ruled that he had initiated a return to first base, and then never retouched second base as he came around and scored. Read picked up for the P-Nats, as the Potomac catcher tied the game at two with a two-out RBI double. Read was left at third base, as Potomac left a man in scoring position in every inning from the sixth through the 10th. After three shutout innings by RHP Gilberto Mendez, LHP RC Orlan (W, 4-2) pitched a scoreless 11th inning. Orlan gave up a leadoff single, but the Dash left O’Dowd at second base and set up the Potomac walk-off opportunity in the bottom of the inning. The P-Nats left the winning run at second base in the ninth inning and at third base in the 10th inning. Following a scoreless 10th frame despite two walks, RHP Jacob Morris returned for the 11th for the Dash. After3B Bryan Mejia flied out to left field, LF Dale Carey walked. Ahead of CF Victor Robles 1-2, Morris hit the 19-year-old in the front shoulder, which put men at first and second base for Schrock. With the outfield drawn in, Schrock lined a ball into the left-centerfield gap, which plated Carey, and delivered Potomac’s 3-2 victory. In the win, Schrock had three hits, his second consecutive multi-hit game since he joined the P-Nats. Marmolejos and Read each also had two hits, as Marmolejos extended his hit streak to 10 games with a fourth inning single. The Potomac bullpen combined for 5.2 innings of five hit, shutout relief. Still undefeated in the second half, the P-Nats will head to Myrtle Beach, SC and play a four game series vs. the Pelicans. The series opens up Thursday night, as RHP Whit Mayberry will make his Potomac debut. RHP Erick Leal (9-3, 3.33), who leads the league in wins, will start for Myrtle Beach. Leal is 2-0 with a 1.50 ERA in two starts vs. Potomac this season. The series gets underway at 7:05pm at TicketReturn.com Field.